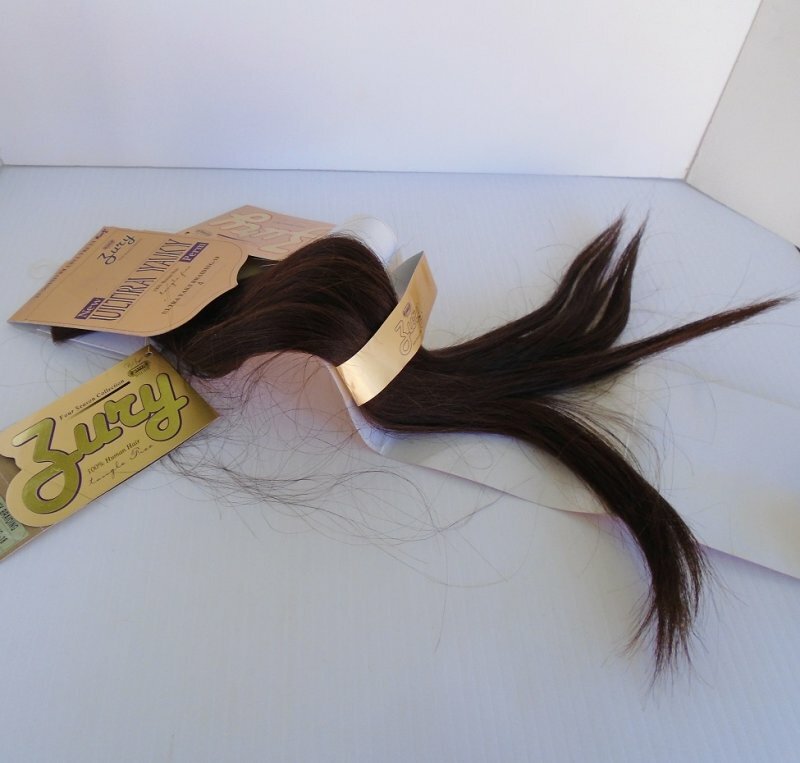 100% tangle free human hair. Zury Ultra Yaky. Unknown if considered as 2 braids or 1 set. Brown, 18 inches long. 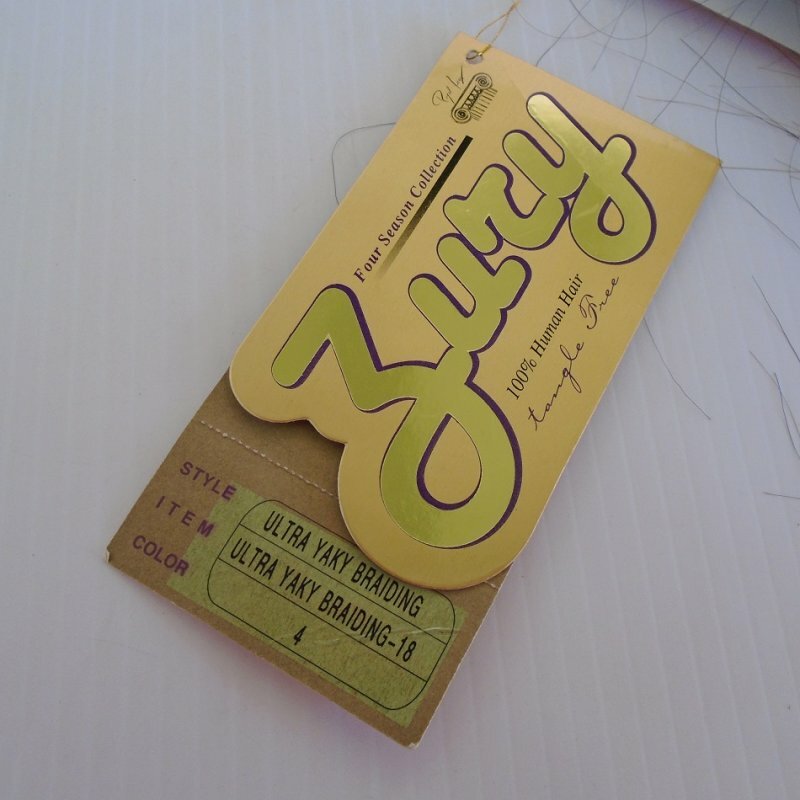 I purchased this Zury Ultra Yaky Braiding hair recently at an estate sale. It's not a normal item that I would show interest in, but it was still on its original store hanger and in a baggie so figured I'd see if it's something someone would be interested in. I have to admit that I do not know the first thing about this product, nor do I know how it's used. All I can relay to you are some of the statements on the packaging. I don't know if this is considered one pack of 2 braids, or if it is considered a set, but there are 2 braids. I assume that the number 18 refers to the length because I measured a braid and it is 18 inches. Also, I don't know what "color 4" means, but the hair is darkish brown in color. Sorry I can't provide more accurate descriptions, but like I said, I don't know the first thing about this type of product. Delivery will be via USPS First Class Mail Parcel from California. Buyer to pay delivery charges of $4.85.